Explanation: In this tantalizing image, young blue star clusters and pink star-forming regions abound in NGC 1427A, a galaxy in motion. 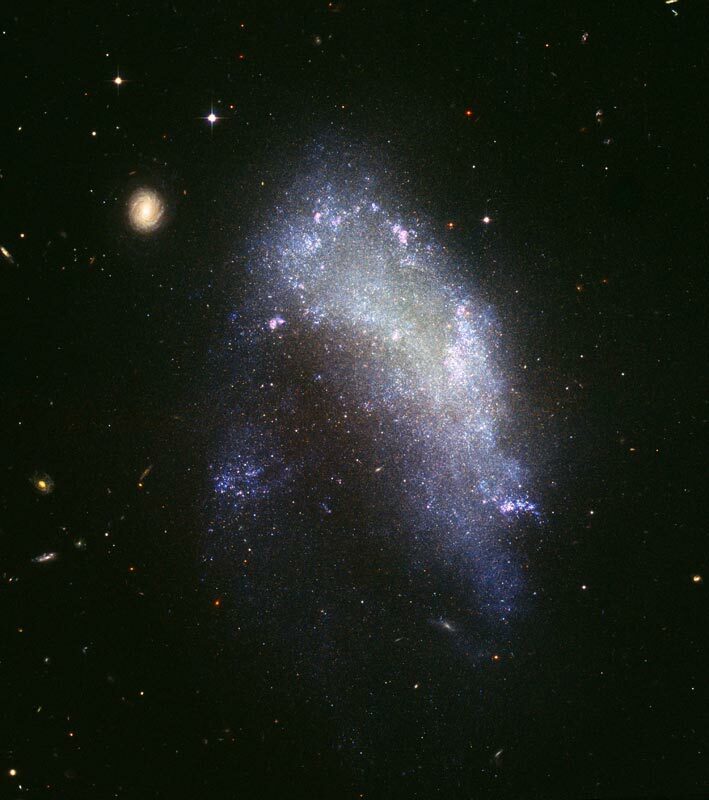 The small irregular galaxy's swept back outline points toward the top of this picture from the Hubble Space Telescope - and that is indeed the direction NGC 1427A is moving as it travels toward the center of the Fornax cluster of galaxies, some 62 million light-years away. Over 20,000 light-years long and similar to the nearby Large Magellanic Cloud, NGC 1427A is speeding through the Fornax cluster's intergalactic gas at around 600 kilometers per second. The resulting pressure is giving the galaxy its arrowhead outline and triggering the beautiful but violent episodes of star formation. 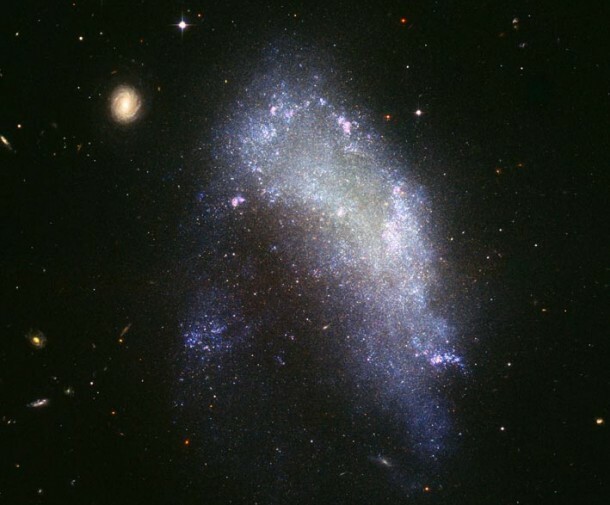 Still, it is understood that interactions with cluster gas and the other cluster galaxies during its headlong flight will ultimately disrupt galaxy NGC 1427A. Many unrelated background galaxies are visible in the sharp Hubble image, including a striking face-on spiral galaxy at the upper left.